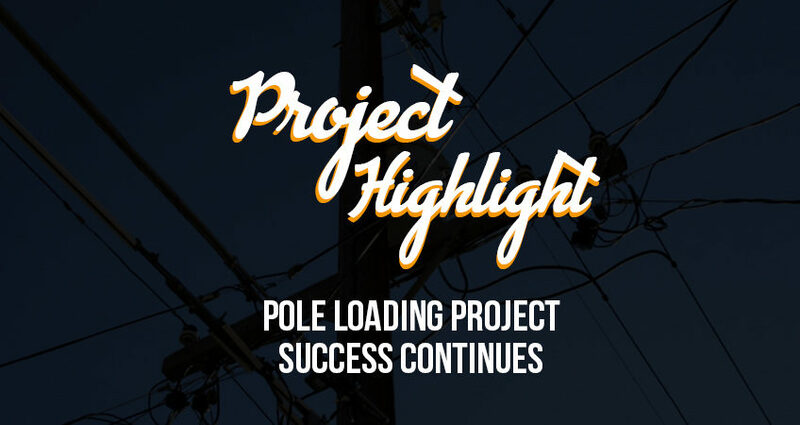 Pole Loading Project Success Continues - MOUNTAIN, LTD. In the 4th quarter of 2017, one of MOUNTAIN’s biggest clients had been receiving an influx of CLEC (Competitive Local Exchange Carrier) requests to attach to aerial infrastructure on telephone poles. These attachments include fiber, small cell, and other telecom equipment. As the project continued to grow, the client identified MOUNTAIN as a key partner who could help with fielding, surveying, and fulfilling work orders. This was an opportunity to enhance our relationship with the client, work in a new area of the country, and share our expertise in pole loading and attachments. From that point forward, the Connecticut Pole Project was in full swing. 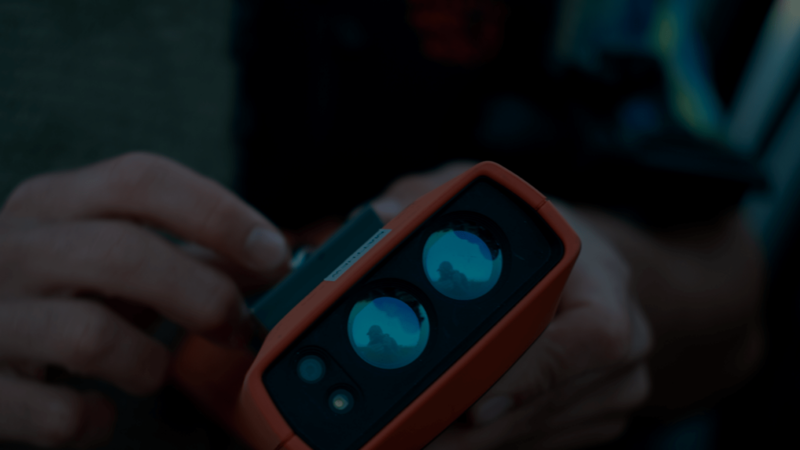 Using proprietary systems, MOUNTAIN receives pole applications from the client at which point our engineers are able to survey the poles to determine where we can attach to them. During this process, we use ikeGPS handheld devices to collect information about the poles to share with the back office. From here, the MOUNTAIN team can perform an analysis of the make ready to figure out the proper placement for attachments. This analysis helps determine what course of action is required to allocate space on the pole, which can involve lowering or raising existing cables if the pole height allows or replacing the pole with a taller pole if needed. Before an Internet Service Provider (or any company) can add a new attachment or line to a utility, the existing attachments may need to be moved around so that the pole can be made ready to handle a new attachment or line. This is known as ‘Make Ready work.’ The reason Make Ready work is necessary is that, under Federal Law, to prevent the risk of outages or other issues, lines on utility poles must be spaced a certain distance apart from each other based on how many lines are on the pole. One of the exciting aspects of this project is the ability to incorporate cutting-edge technology as an opportunity to enhance the engineering process. MOUNTAIN utilizes the ikeGPS technology for field collection and make ready analysis, which greatly reduces timelines for field survey and back office analysis. ikeGPS is a piece of hardware that gives specific measuring data for telephone poles. Using innovative technology like ikeGPS makes our work more efficient and streamlined, allowing us to increase productivity and meet deadlines ahead of time for the client. ikeGPS allows us to photograph a pole and scale the image to place all of the existing pole attachments. After the pole is modeled, we analyze the existing conditions to ensure the pole meets certain criteria to determine the new proposed CLEC attachment location. ikeGPS allows a user to quickly record the geodata of multiple targets together with their photographs. ikeGPS lets the user do this from a distance, which is helpful if the user is dealing with any hard to reach or dangerous target. In 2009, GPS World reviewed ikeGPS as the best GPS device in the world for its purpose because of its unique capability. Over the last year and a half, the CT Pole Project has almost doubled in size from the original scope of work. When the project first started, we were looking at completing 16,000 poles, and since that time have expanded to over 30,000 poles. Given the size of this project, our team has grown to support more than 25 individuals who aid in field collection, back office make ready assessments, work orders, and project management. The project managers have developed a workflow process that is broken down by tasks, so each of these teams can monitor the lifecycle of the project at each stage. The team at MOUNTAIN is working closely with the client, power companies, as well as local municipalities to make sure every step of the pole attachment process is held with the highest regard for quality assurance and efficiency. We are looking forward to the expansion and evolution of this project over the long term. A special thank you to the team members involved in this project. This project has a myriad of moving parts, and with all of you, we have been able to make the project a continued success.